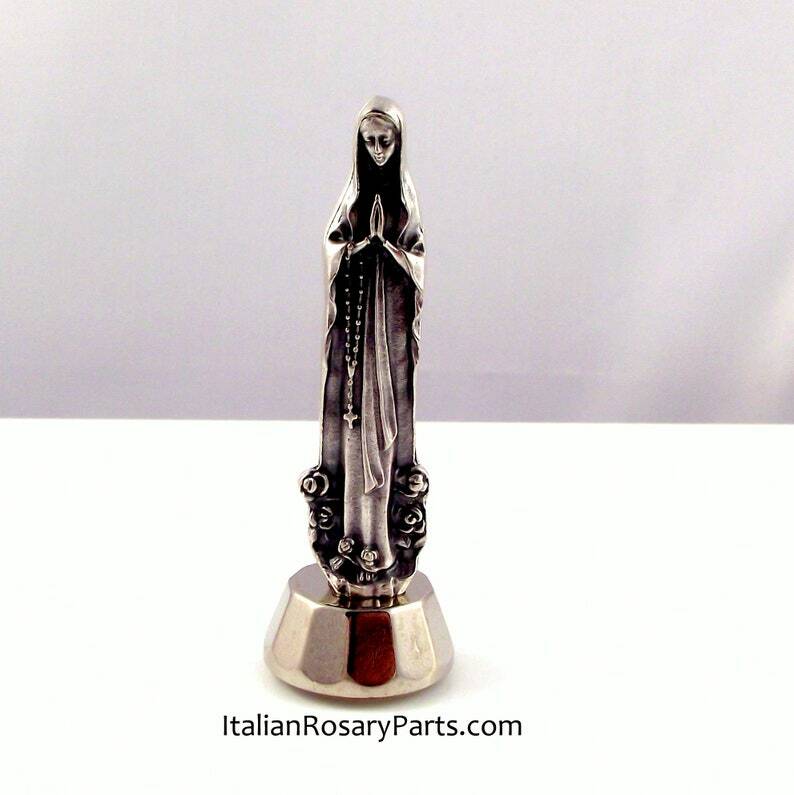 Our Lady of Lourdes magnetic car statue. This also has a peel and stick base in case you'd like to put it on a non-magnetic surface. Silver-oxidized metal with a silver-tone base. Measures approximately 2" high. Made in Italy. Saint Michael The Archangel Statue with Spread Wings Defeating The devil. As ordered and perfect. It now adorns the dashboard of my car, and I could not be happier. She is beautiful as the light changes throughout the day. The Seller quite kindly enclosed two prayers cards, one of which I almost bought in a Catholic gift shop earlier in the day. That one has an unsightly bar code, so I left it in the shop. Hours later the new one came as a gift. Buy with confidence from this Seller! Very nice pocket statue, appreciated with happy reaction from 90 year old recipient. Will be back for an unbreakable rosary, thanks!